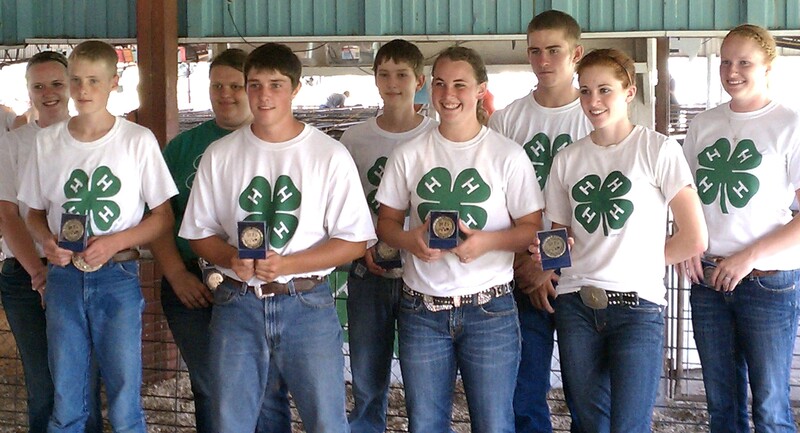 A HUGE thank you to all the Fair Board members, 4-H Council, leaders, youth, parents, volunteers, Clay County News Staff, and Extension staff that made the 2011 Clay County Fair a success! Words can’t really express my appreciation. Driving home every night, I had time to reflect on each day so I decided (for all you farmers) I’d give you a break from irrigation scheduling : ) and provide some reflections from the county fair. 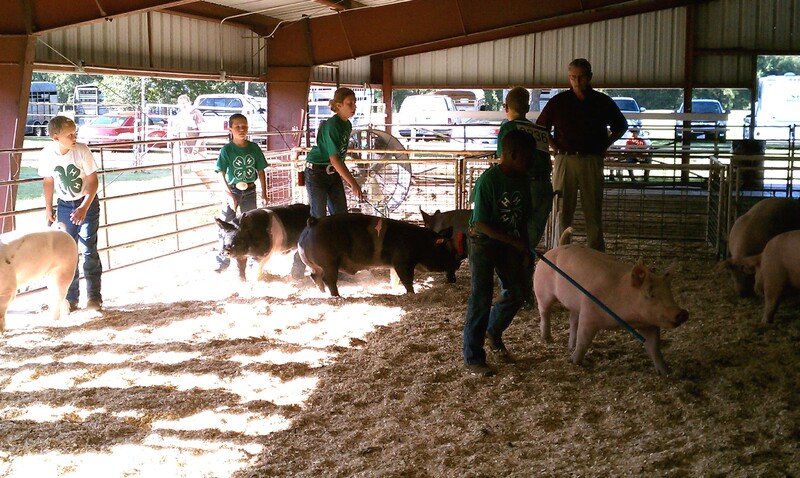 I love watching the fairgrounds come alive…to see the barns and buildings filling up and the excitement of the youth and parents. 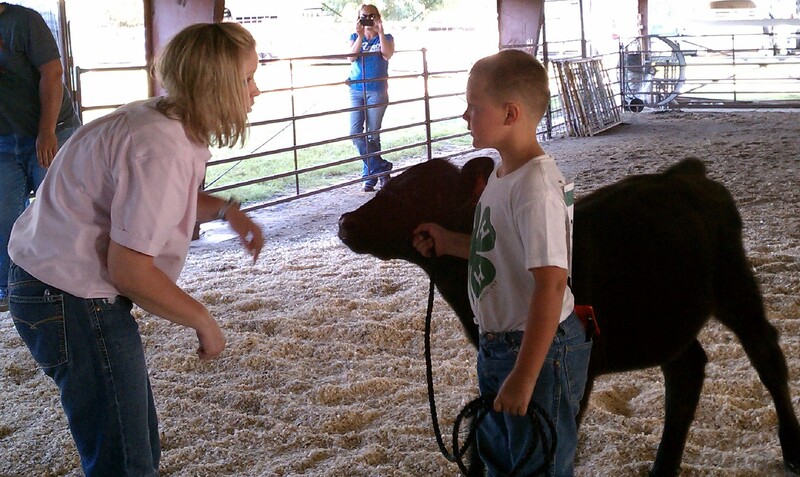 While it’s a lot of work, I really love fair week and I’ve always appreciated our county fair in Clay County. I appreciate that the focus is on the youth and families-exactly where it should be; we truly have something special here! There was several times in conversation a person this week would say “I haven’t been to the fair in X years” to which I’d respond “Welcome back!”. For those of you reading this and can identify with that statement, I’d really encourage you to come out next year-because you truly are missing out on something special. *Deanna and Holli working so hard to prepare before fair while Cindy and I continued programming right up to fair. Everything was ready to go and we felt prepared for everything this year! *The Fair Board Members working so hard before fair, deciding not to run me over before fair : ), and cheerfully picking up trash each morning and doing various tasks throughout fair. *All the Superintendents, 4-H Council members, and Leaders pitching in wherever needed-how you all organized your volunteers to make the shows, exhibit judging, and the food stand run so smoothly. *Kurt and Amy-the FFA Advisors from Sutton and Sandy Creek becoming so involved this year-it was great having them as a part of our team! *The adults and youth who pitched in to clean out horse stalls Wednesday night before the fair. *The beautiful day for the poultry/rabbit show outside and the youth excited to show their bucket calves and do their interviews on Thursday. *The family fun night on Thursday night-I love seeing all the families come out and see what the 4-H clubs come up with each year! 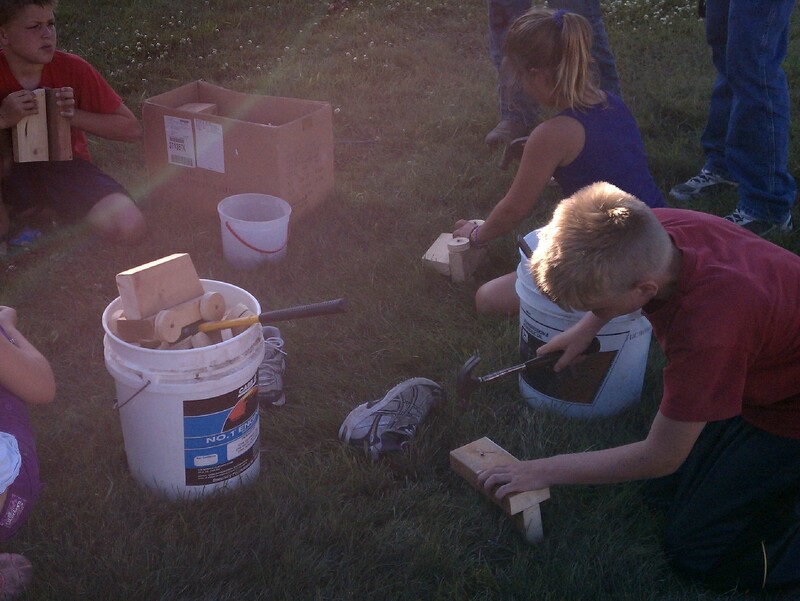 Games, face painting, campfire, and all the work that went into pre-cutting the wheels and blocks to make small vehicles out of wood-a really cool and fun night! *Beautiful morning for the hog show and the horse shows running so smoothly. *The sheep and meat goat judge working so well with the youth – frankly all our judges did a great job with this-it’s where the focus should be-but the sheep/meat goat judge was exceptional! *The beef judge commenting the quality of our breeding beef can compete with any show anywhere; just watching our youth building their herds for the future with hopes of coming back-that is exciting! *The awesome buyers at the livestock auction, the excellent job that Bruce McDowell did as always and that Lonnie Stripe did as well, and a smooth-running auction! *The dedication of the Clay County News staff-especially Tory who endured all the shows in order to capture those special moments and feature stories! *The way so many swine families stuck around at the end to clean up the swine/sheep barn and help me put things away this year so I didn’t have to do that myself. I really appreciated that! *There are many moments but for the sake of space, THANK YOU ALL for making the Clay Co. Fair a success! 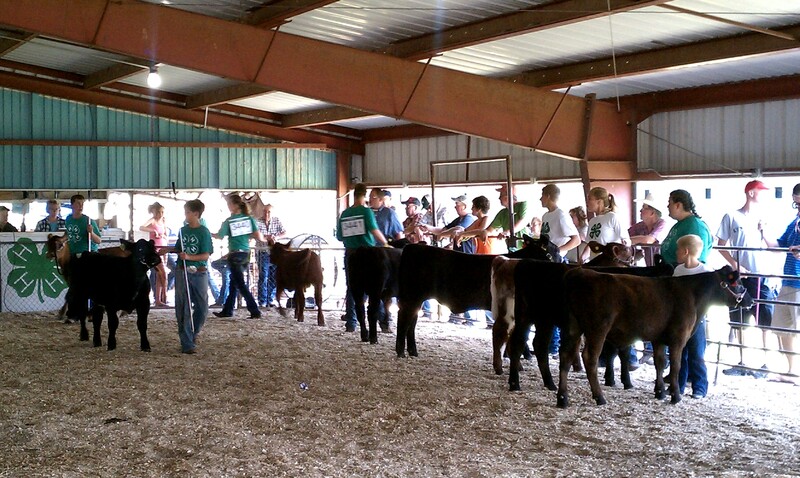 Posted on July 11, 2011, in 4-H and tagged 4-H, Agriculture, Beef, County Fair, fair, FFA, goats, Livestock Shows, Reflections, Sheep, Showmanship, Swine, youth. Bookmark the permalink. Leave a comment.